This is a 1 week co-ed recreational basketball camp where the basic skills and fundamentals of basketball are taught with the emphasis on fun and learning. This camp will be taught by experienced coaches and players from Drills, Skills, and Thrills. All ability levels are welcome. There will be a focus on FUN! With games and drills being taught in a new and exciting way, participants will not only improve their basketball skills, but will also experience the joy of the game. All K-3rd grade participants will receive a basketball, and all 4-7th grade participants will receive a t-shirt. Refunds, less a $10 administrative fee per registrant, will only be processed if requested by June 29th, 2018 by 4pm. This is a 1 week co-ed recreational basketball camp where the basic skills and fundamentals of basketball are taught with the emphasis on fun and learning. This camp will be taught by experienced coaches and players from Drills, Skills, and Thrills. All ability levels are welcome. There will be a focus on FUN! With games and drills being taught in a new and exciting way, participants will not only improve their basketball skills, but will also experience the joy of the game. All K-3rd grade participants will receive a free basketball. This camp will teach fundamental basketball skills while promoting full participation, sportsmanship, and most importantly FUN! Register online at https://register.communitypass.net/maplewood. Contact Coach Ferrare with any questions at ken@dstbasketball.com or 908-720-6747.
WHO: Open to students ENTERING Kindergarten through 6th Grades in September 2018. WHAT: The DST Camp experience emphasizes fun, instruction, safety, sportsmanship, and an all inclusive philosophy where all kids are given equal opportunity to participate. The second session was added by popular demand. Players should wear shorts, a t shirt, and sneakers and bring a snack and water bottle. 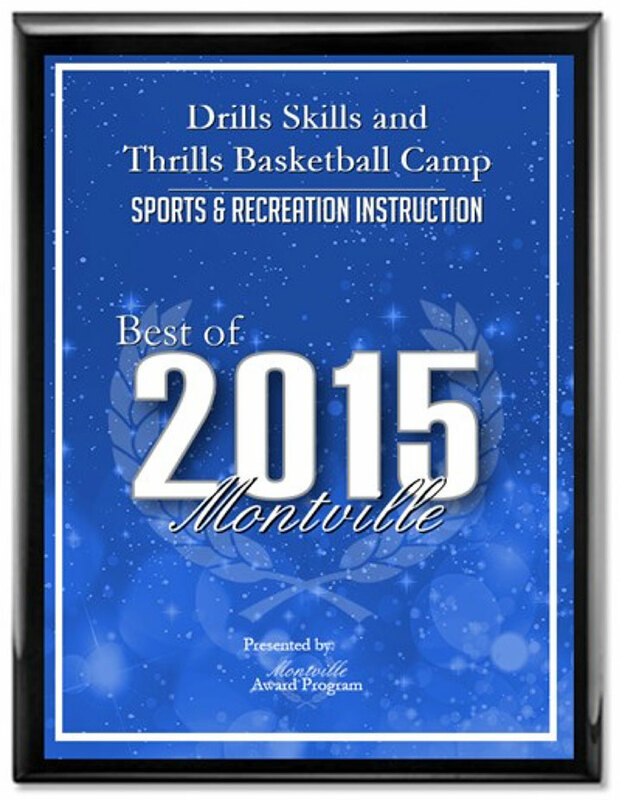 INSTRUCTOR: Ken Ferrare owner of DST basketball camps and a Montville resident will direct each session of the camp. FEE: $120.00 for the four day clinic OR $40.00 daily rate. All grades K-3 participants will receive a free basketball and all grades 4-6 participants will receive a free t-shirt! NOTE: There will be a $20.00 processing fee for program refunds! Checks or Cash Only for In-Person Registration OR Checks Only for Mail or Payment Drop Box!!! OR Credit Cards for On-Line Registration! Please Note: You will be charged a 3 % convenience fee for credit card use on-line! CLASS SIZE IS LIMITED !!! FIRST COME, FIRST SERVE!!! A “head start” program for your aspiring basketball player. This program emphasizes fun, sportsmanship, full participation and instruction during a camp that teaches kids values they can take with them throughout their lives. Players should bring a water bottle and a snack. In addition they should wear shorts, a t-shirt, and sneakers. All registrations & fees due by July 28, 2018. All fees are non-refundable. Dan Dipsey at 973-956-0033 or visit us at www.bgcnwnj.org and www.facebook.com/bgcnwnj.org.